If you’ve been following this blog you’ll already know that I am a runner of sorts. You’ll also know that I like to give myself rather crazy challenges. For example, I decided that this year I needed to enter and run in 12 different races. I also decided that I needed to run 2 marathons in a month, and that I also needed to run at least 1 half marathon (or better) every month for a year. Why not? I say, and laugh maniacally. Truthfully I’ve no idea why I make these goals for myself. All I know is that I find fun in the challenges I set for myself. There are, of course, great side effects to setting the types of goals that I do, including but not limited to, confidence, perseverance, determination, clarity, focus, and health. Beyond that, each successfully completed goal reminds me that there isn’t anything that I should truly fear1 – if I put my mind to it, I can do pretty much anything2. I think learning that I am capable of so much more than I ever would have given myself credit to achieve is one of the best things that I’ve gained from setting goals. I mean, if someone told the teenage me that I’d run two marathons in a 3 week period, I would have thrown my head back and laughed, spitting small bits of chocolate frosted donut projectiles into their personal space as I chortled and jiggled; just before having an asthma attack at the mere thought of running. In a sense, surpassing my goals provides me the ammunition against the voice in my head that insists that it’s not possible, or that I am not capable of doing whatever it is that I’ve set out to do. So every victory ends up as a giant screw you – a veritable punch to the junk – to the evil doubt filled Gillis that exists in my head. And the more ammunition I have against him, the better – because that guy is the douchiest of douches. Anyway, after this weekend’s marathon I thought I would take a moment to recap – partly for accountability, partly to gauge my progress, but also to measure my successes – because the evil doubt filled Gillis always needs a kick to the head when he’s down. Run a half marathon or longer each month for 1 year. I’ve run 538 kilometres. This represents 33.4% of my goal. Sweet. 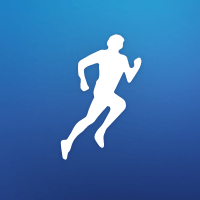 I’ve registered for and ran 6 races – 50% of my goal. These have included the Around the Bay 30km, the Run for Retina Research Half Marathon, the Toronto Yonge Street 10km, the Chocolate Race 10 Miler, the Toronto Goodlife Marathon, and the Ottawa Marathon. W00t! Those would be the Toronto Goodlife and the Ottawa Marathons. This goal is done and done. Double W00t! Two out of three are finished – only one more to go. In other words, ~66.7% of my goal is complete. Squee! According to my calculations, I’m 4 months into this goal and going strong. In other words I’m ~33.3% complete. Not too shabby if I do say so myself. I’m pretty confident that goal number 1 is completely within the realm of possibility, especially considering that goals number 2, 4, and 5 will contribute greatly – both in terms of official events and all of the training required to accomplish them – to it. So here’s to the rest of the year. Here’s to more 5 kilometre, 10 kilometre, 10 Miler, half marathon, 30 kilometre, and full marathon races. Here’s to training hard, even when I’d rather curl up in bed and sleep for another 27 years. Here’s to knocking off each and every kilometre in my 1610km goal. Here’s to running. Here’s to health. But most of all, here’s to kicking the evil doubt filled Gillis square in the junk, and laughing at his pain. 1 Except of course the spiders. They’ll get you when you least expect it. 2 Some notable exceptions include: give birth, be 6 feet tall, or believe that spiders aren’t out to get me (because they are)3. 3 One of the reasons they are out to get me, is because I know that they are out to get me, and they know that I know this. “I would have thrown my head back and laughed, spitting small bits of chocolate frosted donut projectiles into their personal space as I chortled and jiggled; just before having an asthma attack at the mere thought of running”- that totally made me laugh out loud! The spiders are out to get you. They are evil, soulless killing machines who want to kill all that is happy and good in the world. There is no getting around this. Also, you inspire me. I don’t think I’ll be running 12 half marathons a year anytime soon, but I do foresee a post about running in my blog’s near future!